“The Church lives in the context of Pentecost. Illumination — which is the aim of Baptism and is assumed to be identical with Chrismation, as Chrismation is illumination — is the heart of the Mysteries, and Pentecost is the heart of the heart. The two go together, because anyone who reaches illumination, when and if God wills, arrives at glorification. Glorification, however, is not a continuing state, and he returns to illumination. Glorification is not a permanent state in this life. Thus illumination is supposed to be a permanent state. If someone is not in the state of illumination it means, according to the Fathers of the Church, that he has fallen. He returns to illumination through the Mystery of Confession. So we have the first Baptism, we have Chrismation and afterwards we have the second Baptism. 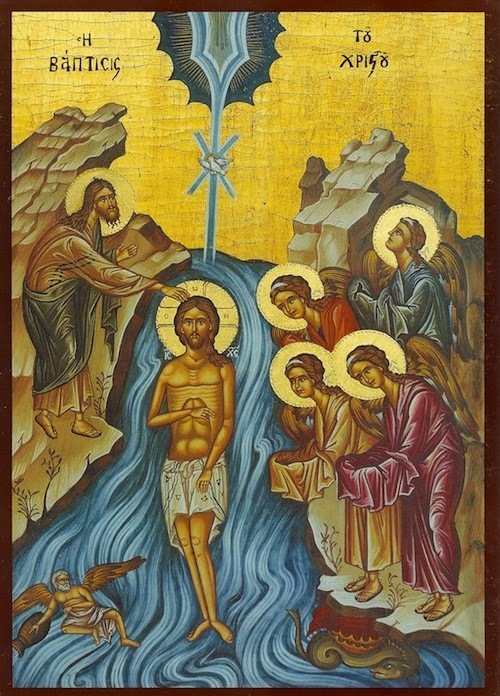 The second Baptism may be the monk’s repentance in order to reach illumination, which he did not find at Baptism. Or it may be the Mystery of Confession that is sometimes accompanied by Chrismation, when those concerned have denied Christ. It is in this context that one sees how far the so-called hesychastic tradition is concentrated in the Mysteries of the Church. 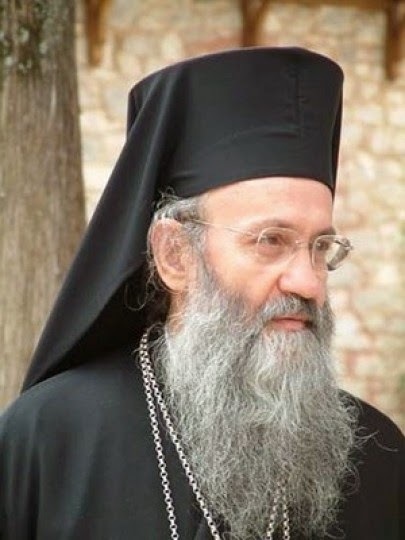 There is no mysticism in the Orthodox Church which is not in the Mysteries of the Church. No such thing exists. The Mystery of Baptism is the ‘introductory Mystery’ by which someone enters the Church. Christ Himself commanded His Disciples to baptize all those who believed in Him. “And Jesus came and spoke to them, saying, All authority has been given to Me in heaven and on earth. Go therefore and make disciples of all the nations, baptizing them in the name of the Father and of the Son and of the Holy Spirit, teaching them to observe all things that I have commanded you; and lo, I am with you always, even to the end of the age.’ Amen” (Matt. 28:18-20). The Apostle Paul links the Mystery of Baptism with the death and Resurrection of Christ. Through Baptism the Christian dies with regard to sin and lives a resurrected life according to Christ. “Or do you not know that as many of us as were baptised into Christ Jesus were baptised into His death? Therefore we were buried with Him through baptism into death, that just as Christ was raised from the dead by the glory of the Father, even so we also should walk in newness of life. For if we have been united together in the likeness of His death, certainly we also shall be in the likeness of His resurrection, knowing this, that our old man was crucified with Him, that the body of sin might be done away with, that we should no longer be slaves of sin. For he who has died has been freed from sin. Now if we died with Christ, we believe that we shall also live with Him, knowing that Christ, having been raised from the dead, dies no more. Death no longer has dominion over Him. For the death that He died, He died to sin once for all; but the life that He lives, He lives to God. Likewise you also, reckon yourselves to be dead indeed to sin, but alive to God in Christ Jesus our Lord” (Rom. 6:3-11). Catechism prior to Baptism took place within this framework. “When we are baptized, if we read the services prior to Baptism carefully, we have purification, from the time of the early Church until some time ago. There are exorcisms before Baptism. We read exorcisms to the candidates for Baptism all through Great Lent. We do not read exorcisms only on the day of Baptism. We read many exorcisms many times over. For what reason? Because the whole struggle was to release the candidate for Baptism from the energies of the devil. This is the main concern of purification. Now, however, let us consider the state of faith in a period when we prepare candidates with moral teaching. You must be good children. Don’t do this, don’t do that… As long as they limit their evil deeds, they abstain from evil deeds. When they reach the point of abstaining from evil deeds they are catechized and their mind is filled with knowledge of the Old and New Testaments, the Creed and so on. They sit examinations, pass them and are baptized. This is Baptism. It is not someone who has simply been baptised who is the temple of God, but the one who has the grace of God active within him. That is why catechism – which is a whole praxis of the Church – preceded Baptism. “What is meant by the temple of God? Not someone who is baptised. St Basil the Great does not tell us that every baptised Christian is the temple of God. That’s what we say nowadays. We teach that now at university. All the priests say that now someone has been baptised he is the temple of God. All of us who are baptised have God within us. I have delivered many such sermons myself, that ‘We are temples of God’, ‘You are temples of God’ and so on. We do this in order to construct those fine sermons saying that we cannot do what we like with our bodies, we have to be careful, because we are temples of God. We ought not to do this, that or the other. We deliver sermons taking it for granted that as we are baptised we are temples of God. Yes, but if you look closely at the patristic texts you will see that someone who has received the visitation of the Holy Spirit is the temple of God. Then we understand why St Basil the Great and St Gregory the Theologian postponed Baptism and were baptised late. You know, our professors in America say that it is good for someone to defer Baptism, because then he can sin and do whatever he likes. When he is baptised all his sins are washed away; once he has tired himself out he is baptised and becomes a good Christian and is out of danger. I have a suspicion, a slight suspicion, because purification was difficult and they had to go through purification, which was not simply catechism and moral instruction, that it was not for moral reasons that they were not baptised, but it was because they had not passed through the exercise of purification of the nous, by which all thoughts depart and one thought remains, the constant remembrance of God. Catechism and exorcisms were also accompanied by ascetic practice. In order for someone to be baptized he had to go through asceticism, not just moral correction of his life. The preparation for Baptism is not moral correction. The preparation for Baptism is asceticism. Catechism actually aimed at separating the noetic faculty from the rational faculty. What does not take place now with the introduction of infant Baptism comes about at monastic profession, which is described as a second baptism. Essentially it is repentance that activates the grace of Baptism and Chrismation. “In Orthodoxy this visitation of the Holy Spirit is called a second baptism: it is monastic profession. What did not happen at Baptism, in the rite of Baptism, is assumed to happen at monastic baptism, and is called a second baptism. What took place at Baptism, when the individual was a baby, is repeated at monastic profession. Although it was not put into practice then, monasticism comes to do what was not done at Baptism. That is monastic profession. The liturgical practice of the Church was also defined from this theological perspective. “Faith must be changed into knowledge, and this comes about after Baptism. In the Church, as we know, there were lessons prior to Baptism based on the Old Testament, based on the Gospels of Mark, Matthew and Luke. After Baptism the Church interpreted the fourth Gospel, the Gospel of John. That is why we begin on Easter Sunday: ‘In the beginning was the Word, and the Word was with God’ (John 1:1) and we read the Gospel of John up until Pentecost. From then on there was catechism on the Gospel of John. This was regarded as the Gospel about the Mysteries of the Church and dogma. Before Baptism it was forbidden for anyone to talk to the catechumens about the Mysteries of the Church. Only in Holy Week did the catechumens begin to learn something about the Mysteries of the Church. Instruction in the Mysteries and dogmas was completed after Baptism. In the early Church one passed through the stage of purification during catechism and then Baptism followed. Baptism took place on these preconditions. When, however, infant Baptism was introduced, the Church paid great attention to the Christian parents and the Christian godparents, who were to catechise the baptised child when it was older. That is why the godparent recites the Creed and says the words Ί have renounced’ on behalf of the infant. “As someone has passed purification, we baptize him. But infant Baptism is another matter. It is assumed in that case that the godparent is illuminated, together with the parents. When catechism is given beforehand, together with the whole process of purification, the one being Baptiste experiences the first Resurrection. With these Orthodox presuppositions and Chrismation that followed, one became a temple of the Holy Spirit...to be continued. “Empirical Dogmatics of The Orthodox Catholic Church. According to the Spoken Teaching of Father John Romanides.” Volume 2. 2013.